A city of stunning architectural and artistic heritage, Bilbao is situated on the banks of the Nervión River. Visiting Fishing Charters & Tours and La Concha Beach will get you outdoors. We've included these beaches for you: Ondarreta Beach and Basque Coast Geopark. Change things up with these side-trips from Bilbao: San Sebastian - Donostia (Stand-Up Paddleboarding, Monte Igueldo, & more), Parque de la Naturaleza de Cabarceno (in Obregon) and Peninsula of Magdalena (in Santander). 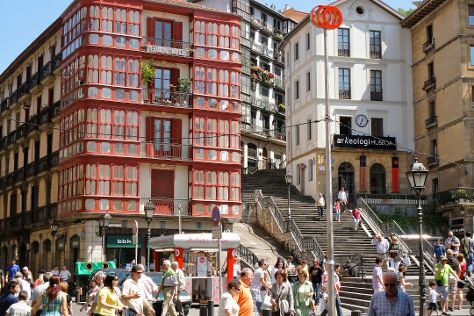 There's much more to do: experience the excitement of La Ribera Market, test your problem-solving skills at popular escape rooms, wander the streets of Old Bilbao, and enjoy the sand and surf at Playa de Azkorri. To find other places to visit, maps, traveler tips, and more tourist information, read our Bilbao road trip planner . If you are flying in from United Kingdom, the closest major airports are Bilbao Airport and Santander Airport. In July in Bilbao, expect temperatures between 30°C during the day and 19°C at night. Wrap up your sightseeing on the 30th (Tue) early enough to travel back home.